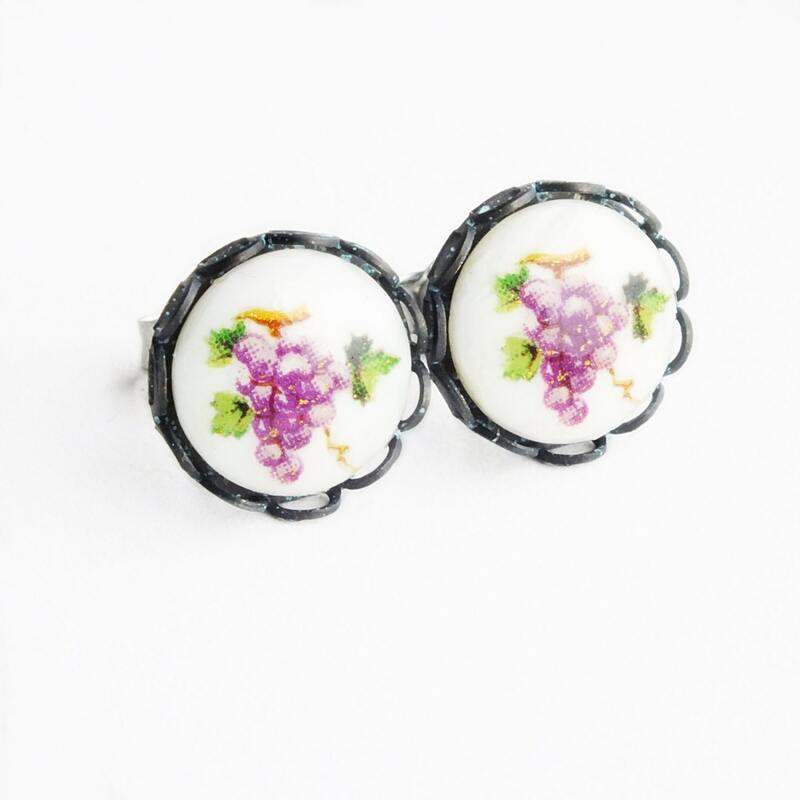 Handmade fruit post earrings with vintage Victorian glass purple grape cameo and hypoallergenic studs. 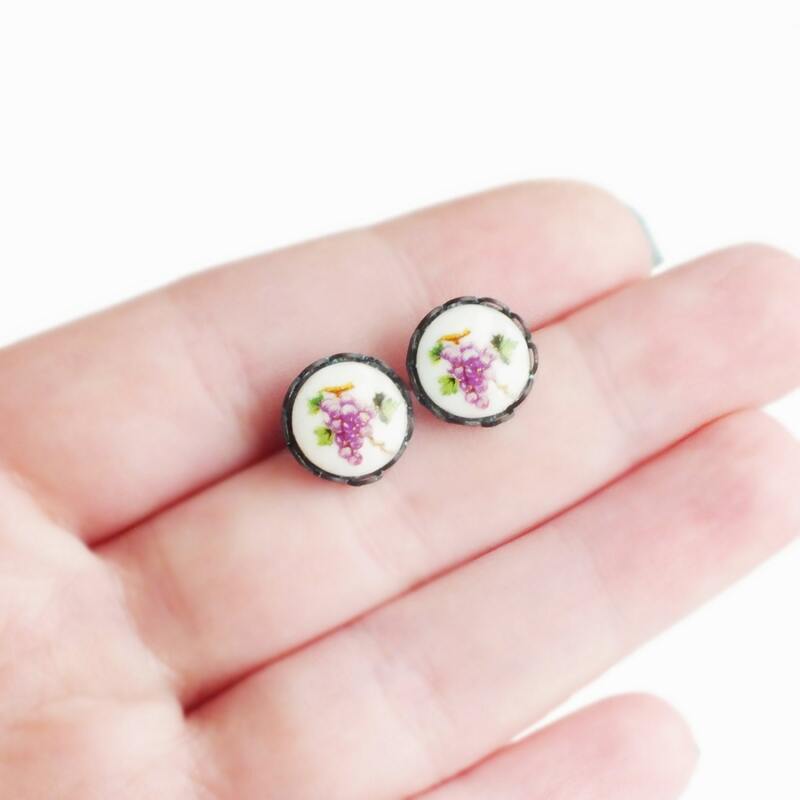 Fruit earrings made with the sweetest genuine vintage glass cameos featuring clusters of purple grapes with foliage and a curly tendril. There are hints of gold throughout. 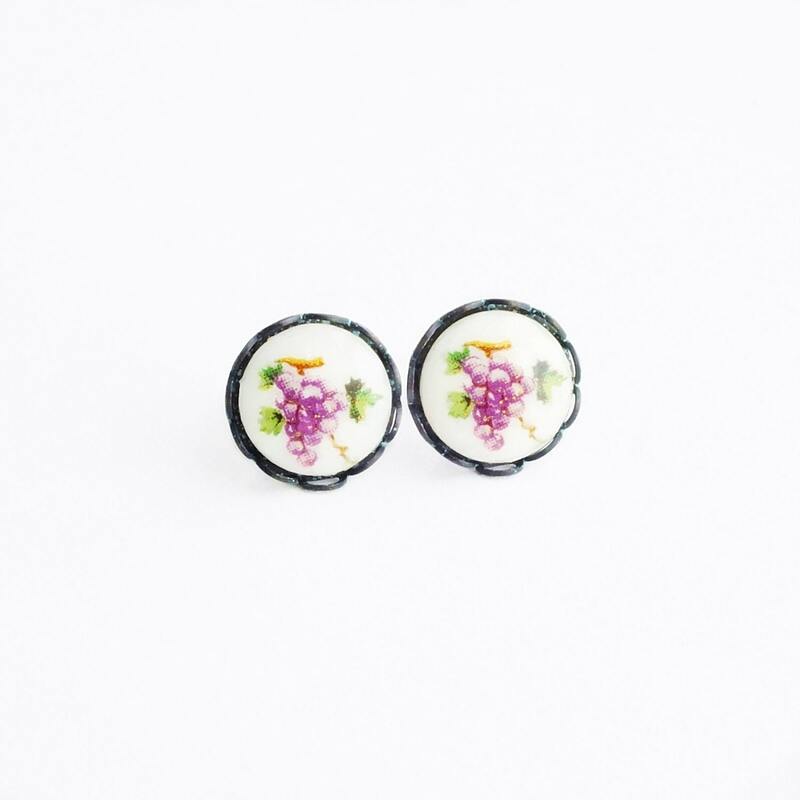 I set them in dark antiqued brass lace-edged settings secured to hypoallergenic stainless steel posts.